Acorn provides packaged software solutions, consulting services and a world-class partner network that enable leading companies to measure, analyze, and improve profitability and performance. Acorn's Enterprise Performance Suite provides continuous, enterprise-wide visibility into costs, revenues, profits, and resource capacity/utilization, while Acorn's targeted applications combine accurate analytics with business process applications that enable users to make informed, profitable decisions. 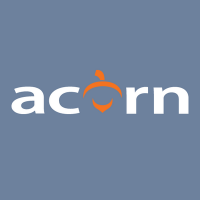 Acorn Systems' unique and proven approach to cost and profit analysis is verifiably accurate, auditable, scalable, and sustainable. Leaders in Financial Services, Retail, Consumer Products, Manufacturing, Distribution, and Logistics have realized over $1B in annual profit improvements as a result of implementing Acorn solutions.